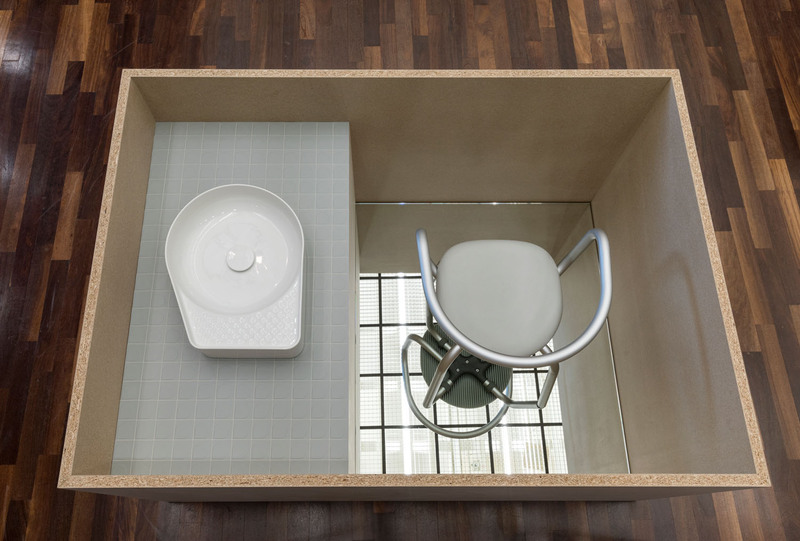 Konstantin Grcic is one of today’s most renowned industrial designers. His designs are both avant-garde and forward-looking, yet, at the same time, some of them, such as chair_ONE (2004) or the lamp Mayday (1999), are already design classics and now in important design collections, such as the one at the Museum of Modern Art in New York or the Neue Sammlung in Munich. Grcic’s designs combine industrial aesthetics with experimental, artistic elements; they’re functional, yet cumbersome and sometimes deliberately disturbing. 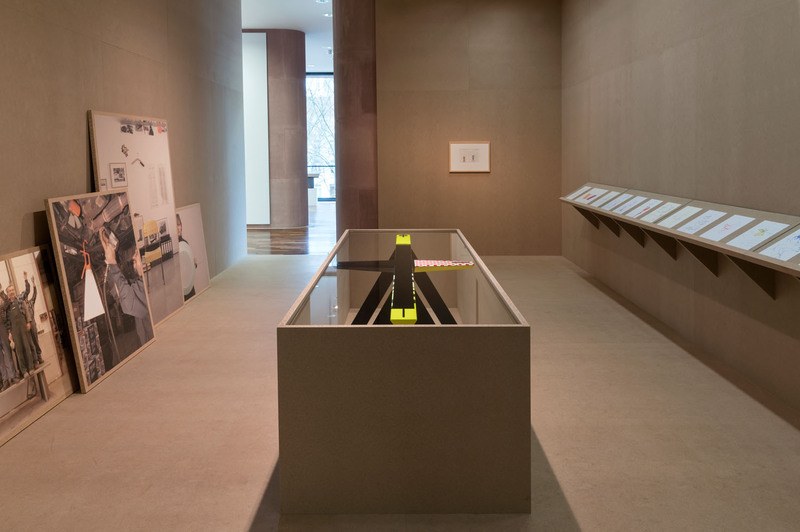 The exhibition Konstantin Grcic. 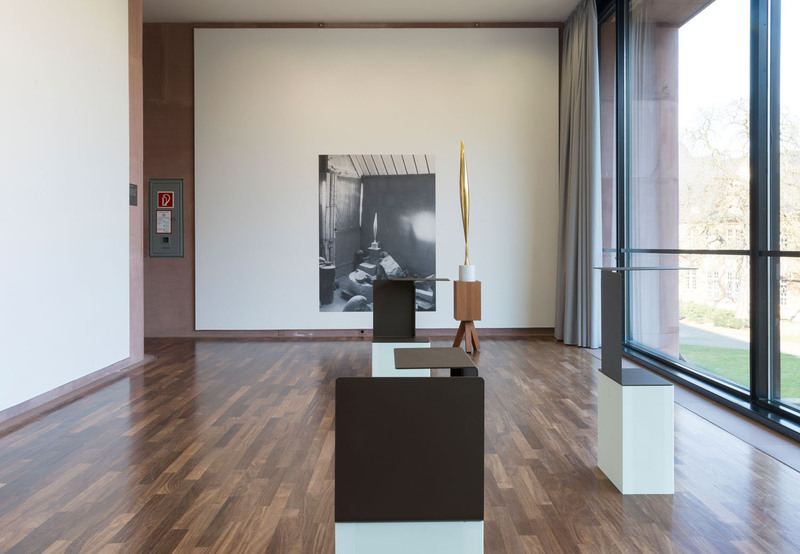 Abbildungen at the Kunsthalle Bielefeld is neither a survey nor a retrospective, but an overview of his works that complies with the Kunsthalle’s architectural and contextual givens. The starting point and grammar for this show’s conception is the pedestal. Used for presenting objects and sculptures, this frequently overlooked element has persistently been brought into question by sculptors ever since Auguste Rodin’s design for the Burghers of Calais (1884). 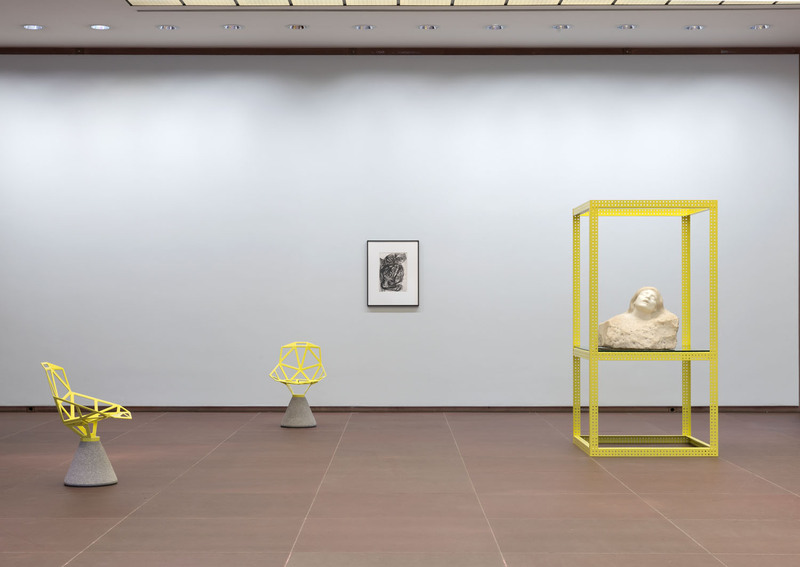 For Rodin’s marble sculpture La Douleur, from the Kunsthalle Bielefeld’s collection, Grcic has now designed a new pedestal. Rodin’s classic marble is confronted with today’s industrial aesthetic. 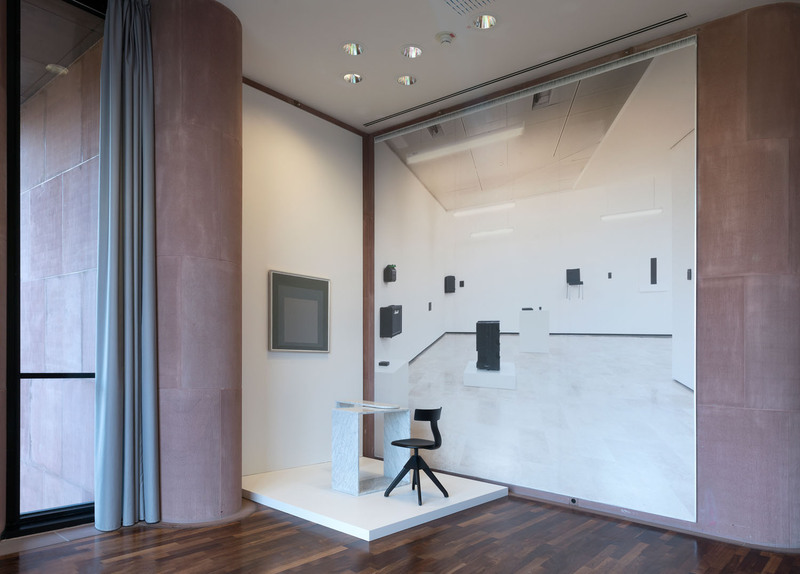 Corresponding to it in space is chair ONE, probably Gric’s best-known piece of furniture. In this variation with its concrete foot, chair ONE is clearly made out of two parts. 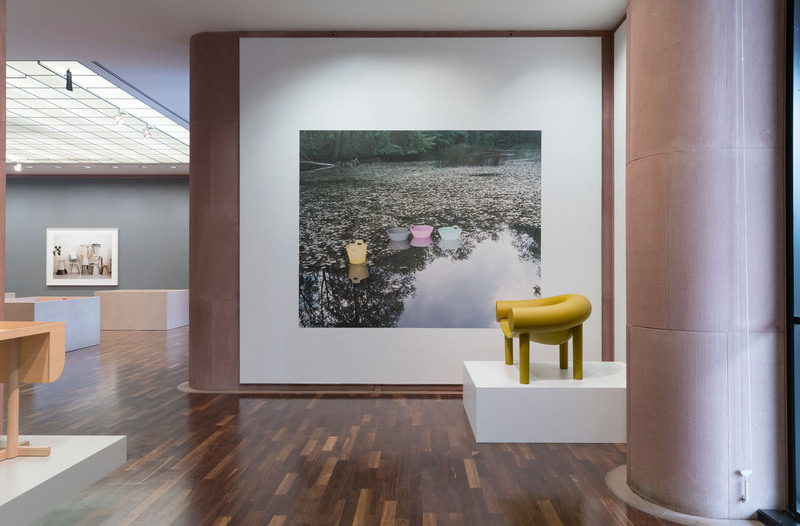 As if it were a pedestal, the foot holds aloft the distinctive seat, yet at the same time the weight of the concrete fixes the chair in a single place. 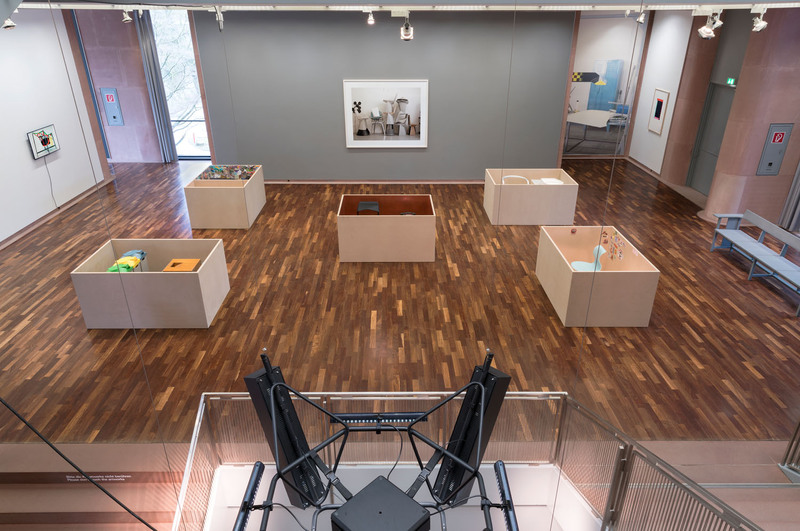 The exhibition at the Kunsthalle Bielefeld varies the pedestal theme for selected products designed by Grcic in past years. The side tables from the Diana series, for instance, are presented on pedestals made especially for them. 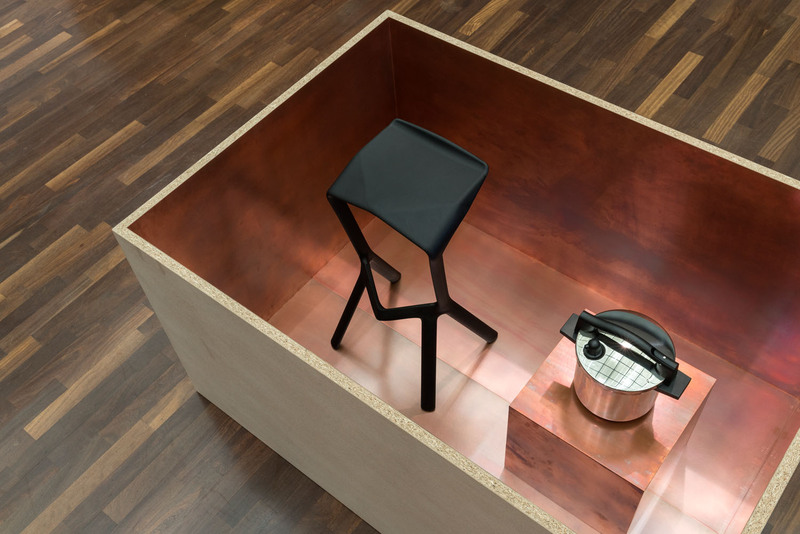 Originally made by bending a two-dimensional metal plate, the three-dimensional objects became presentational surfaces or repositories for everyday items; here, however, they stand upon a pedestal of their own. 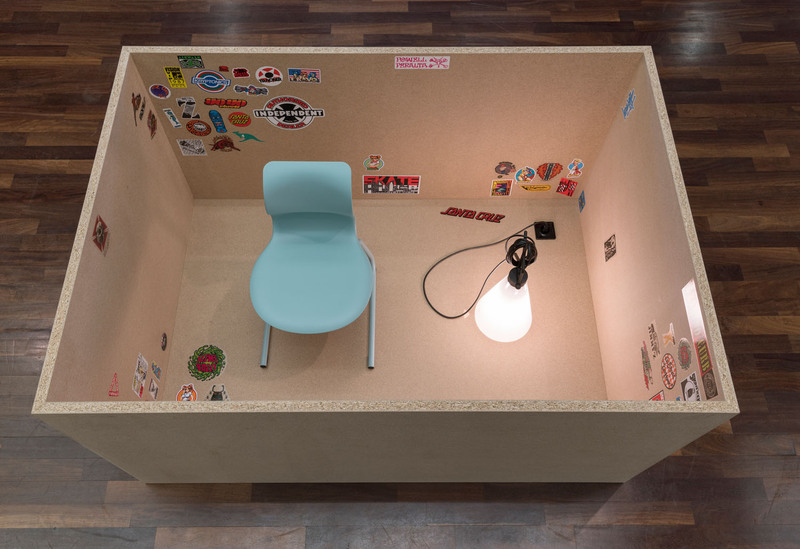 Relieved of their functional existence in the museum and presented on a pedestal, the furniture finds its way back to its autonomous, created form. The Pallas table is in a similar situation; doubled, with the tabletop laid on top of a second one, it is simultaneously a pedestal and an object on display. 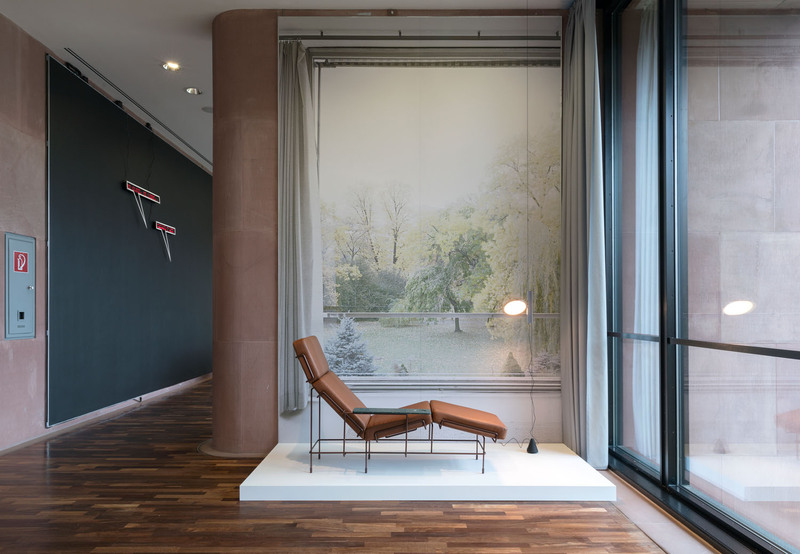 Beyond the pedestal theme, visual references to other fundamental concepts of Modernism are made, which are important to Konstantin Grcic in his works. 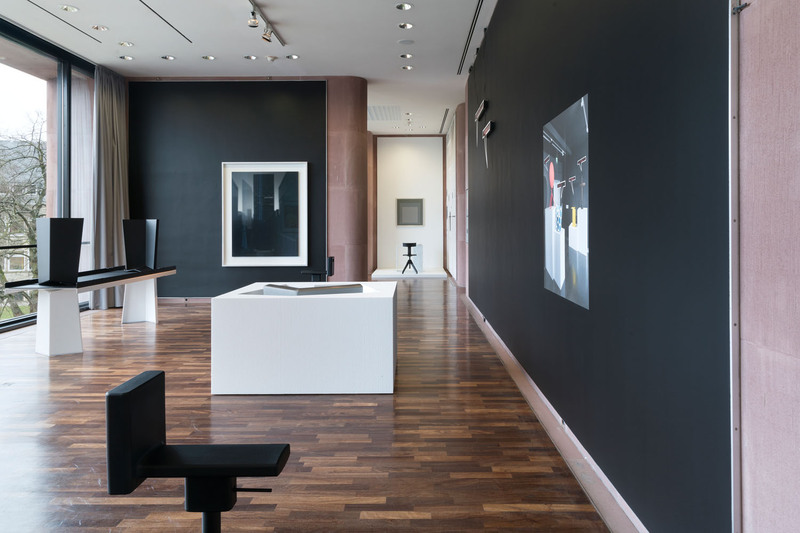 To do this, Grcic has selected works from the Kunsthalle Bielefeld’s collection that make it obvious that he cannot conceive of design without an exploration of art. 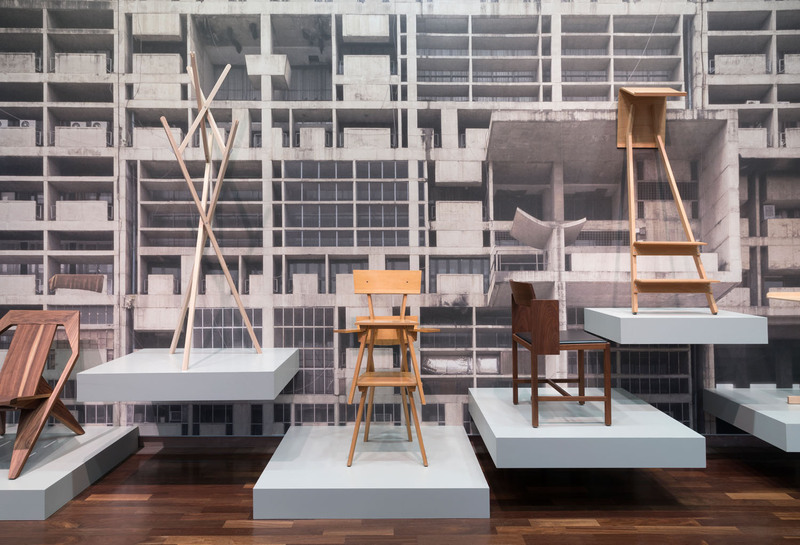 For Grcic, the visual and formal vocabularies of art and design determine each other. 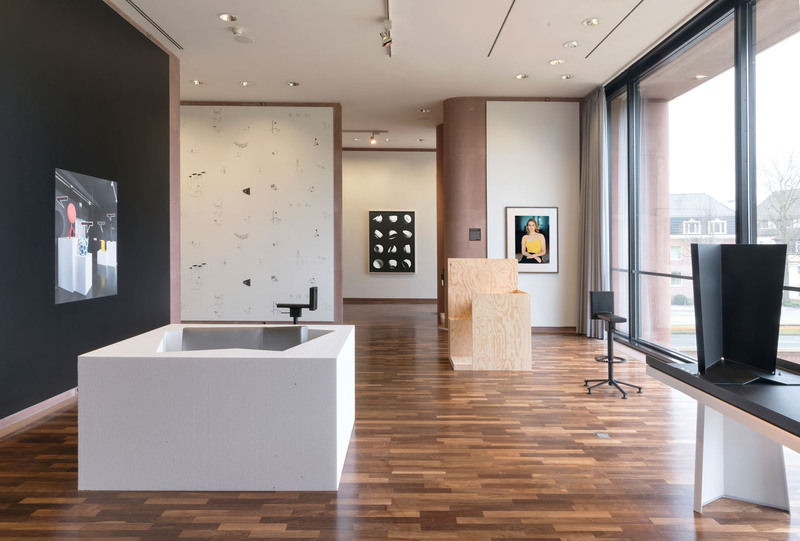 The show is sponsored by the Kunststiftung NRW, the Ministry for Families, Children, Youth, Culture, and Sports of the State of North Rhine-Westphalia, and the Kulturstiftung pro Bielefeld.